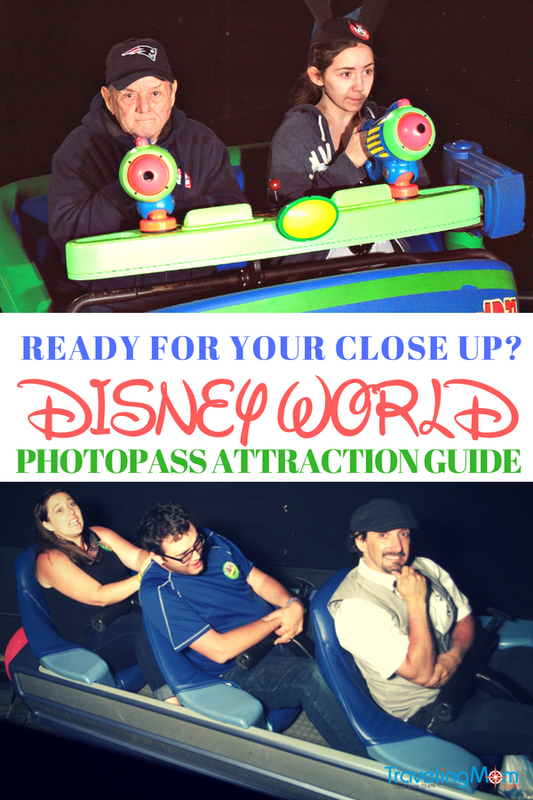 Home » Blog » Walt Disney World » Say Cheese: Where Are the Cameras on WDW PhotoPass Attractions? One of the best bargains at Walt Disney World is the Memory Maker. But once you sink good money into this photography service, you want to make the most of it, right? Read on to learn how to make the most of your Memory Maker by getting perfect ride photos. Know where the cameras are on all PhotoPass attractions, and be ready for picture-perfect memories. Our Storyteller TravelingMom is sharing where to say “cheese”…..even on Slinky Dog Dash, the newest, hottest attraction at Walt Disney World! 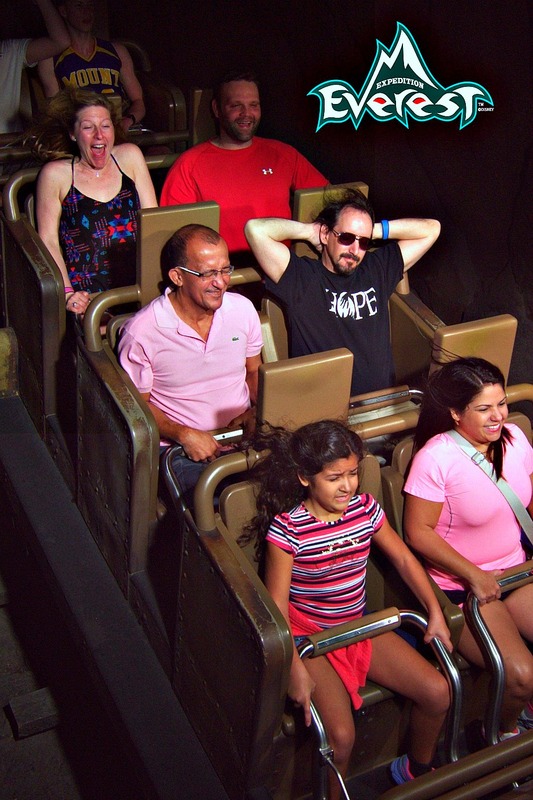 When I’m at Walt Disney World, I want to be 100% in the moment. I want to be spending my time making memories with my family and enjoying the wonderful ambiance of this magical world. I want to be eating great food, enjoying fun attractions, and shaking hands with princesses and celebrity mice. What I don’t want to be doing? Stressing about getting good pictures. Photographs are important to me, the key souvenirs that capture a moment, a feeling, my joy. I want great shots of pinnacle moments, but I don’t want to have to stress about it. And thanks to Disney’s PhotoPass service, I don’t have to. I know that my pictures are being taken by professional photographers, and can include the whole family. What can be better than that? Well, this. Disney offers a Memory Make deal. For one low price, you can have unlimited downloads of all your professionally taken Disney Phot Pass pictures and videos. And it gets even better – your attraction photos and videos are included on the Memory Maker. 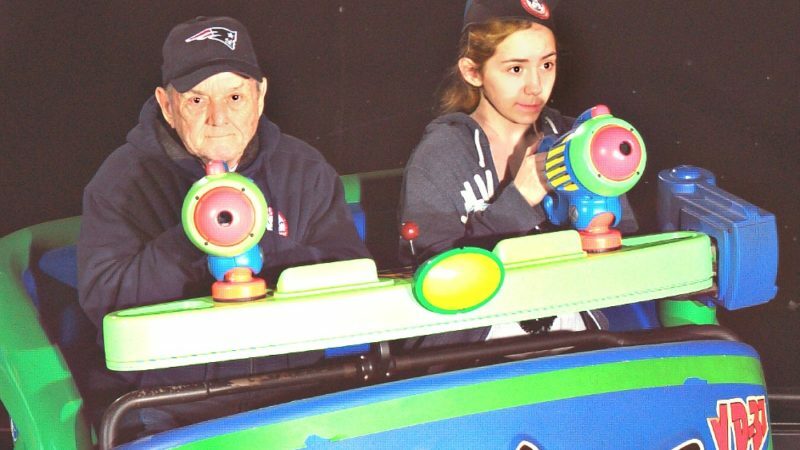 So those happy smiles on Slinky Dog Dash, those frightened grimaces as the Tower of Terror drops, and those competitive looks of determination as you play Buzz Lightyear Space Ranger Spin – they’re all included. You just can’t beat that. Or can you? 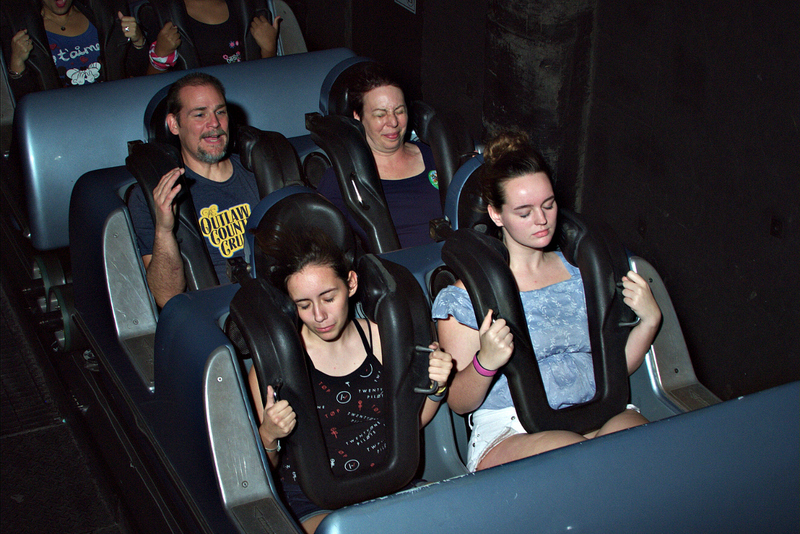 Once I knew my attraction photos were on my Memory Maker, I wanted to be sure they were all “keepers.” And the only way to do that is to know where the camera is on each attraction. 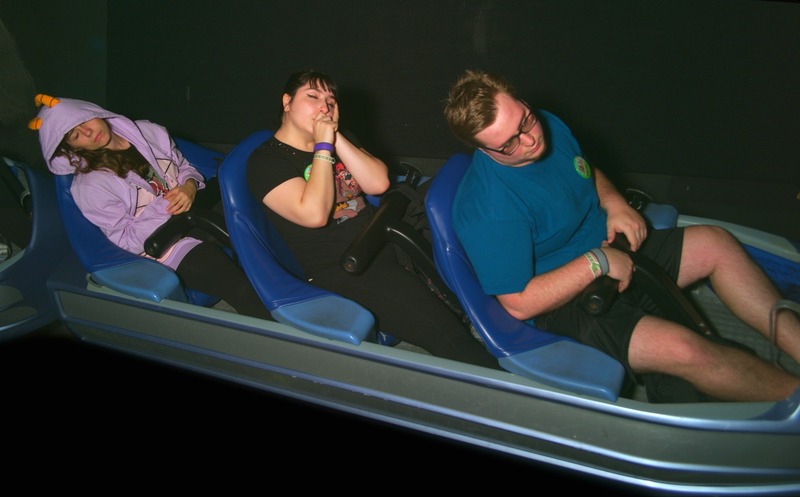 Where are the cameras on Disney World attractions? I did the work, so you don’t have to. Below are the secret camera locations on all the PhotoPass attractions at all four of the Walt Disney World theme parks. Buy the Memory Maker before you leave home (you’ll save money that way), then get ready for your close-up. You can thank me later. 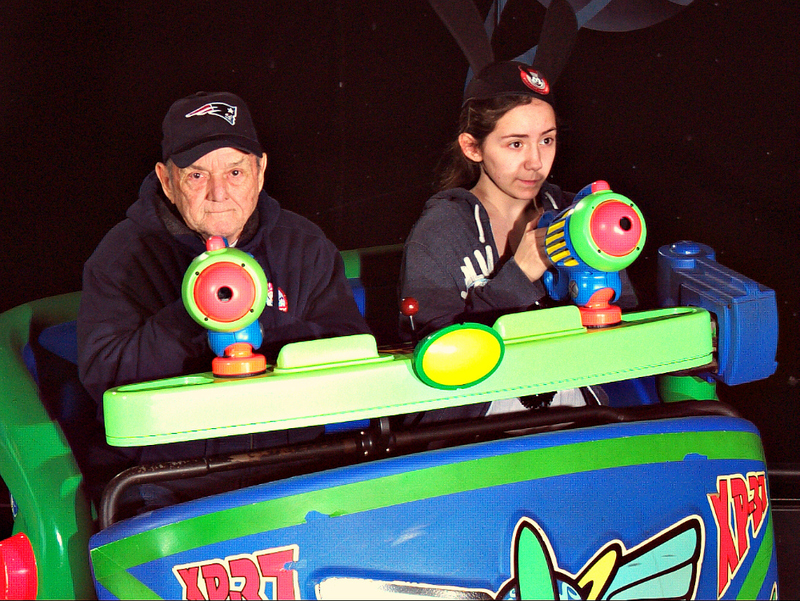 You’ll want to catch a picture of your family as they whiz through space. So tell the kids the camera is at the end of the star tunnel. Depending on which track you’re on, the vehicle will turn to the left or right. The camera is mounted where you take the turn, on the inside part of the turn. 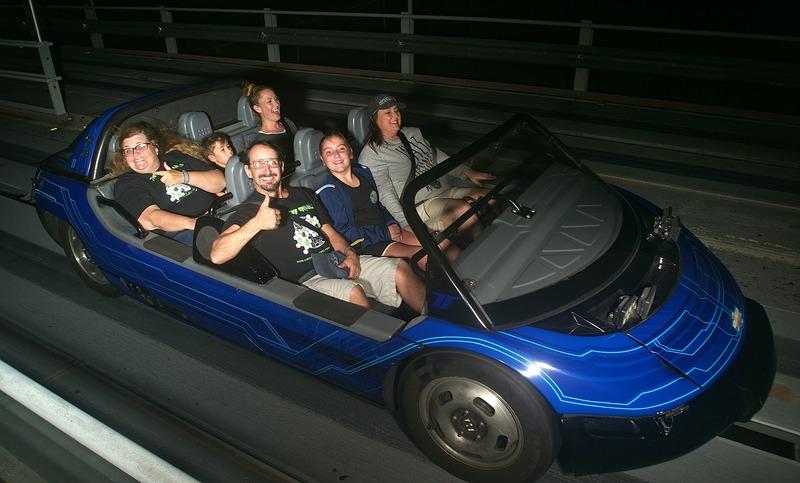 Watch for the flash in the cars before yours and you will see exactly where the camera is. Then make your best astronaut pose! To score big, you’ll need to concentrate on shooting the Z’s. But don’t forget you’ll be getting your picture taken as well. When? Well, the camera is located towards the end of the ride in the room with the giant Emperor Zurg. The camera is mounted on Zurg. Look for the flash. There are two cameras that capture your image as you race through dwarfs’ diamond mine. But there’s also a double payoff, as you’ll receive both a photo and a video on your Memory Maker! The first camera is located towards the left as you go down the first “big”hill. The second is as you turn at the bottom of the hill, located above you to the left. Both are on the left side at approximately 10-11 o’clock. There’s no preview of the images when you get off the ride, but that makes the picture and video a fun surprise when you check out your Memory Maker pictures. 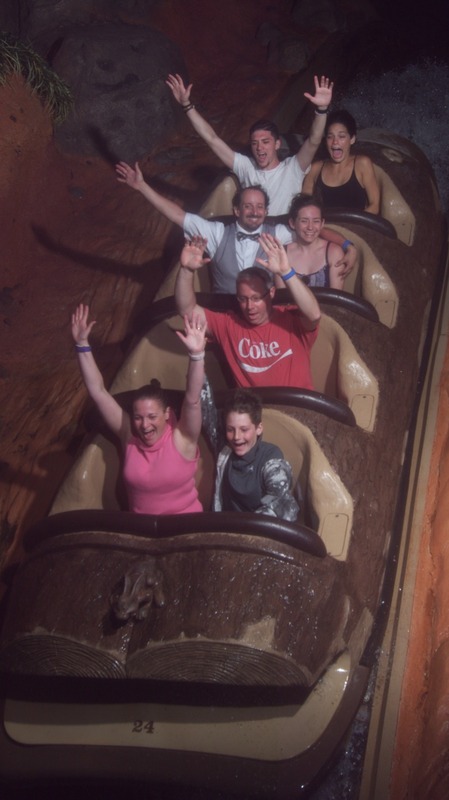 This may be one of the best-known attraction cameras in the Magic Kingdom, for you can find all sorts of Splash Mountain pictures on the Net. 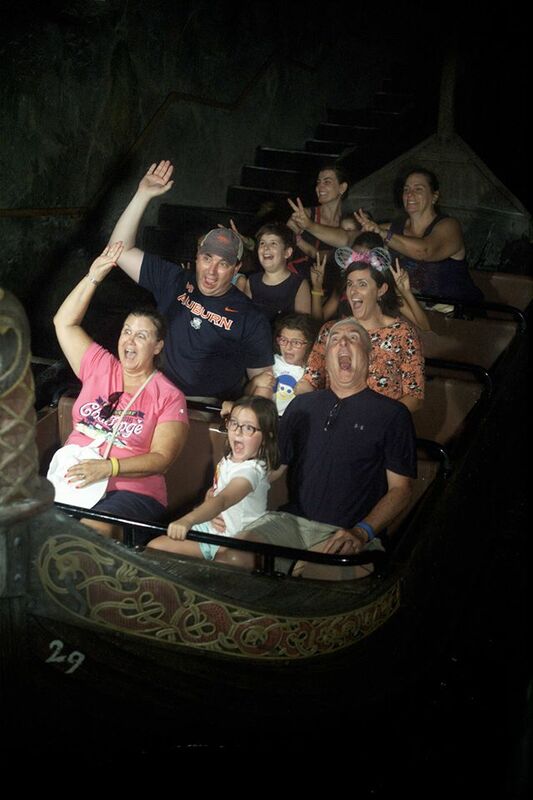 From games of Monopoly and Jenga to full blown marriage proposals, all sorts of fun poses have been captured on this ride. Want to get in on the fun – and make the most of your Memory Maker? Get ready for the camera, located on the left about 1/3 of the way down the big drop. The scene with the red head isn’t the only thing that changed on this classic attraction. In 2017, a phot opportunity was added – though you won’t see a preview at the ship itself. You can preview it in your account at MyDisneyPhotoPass. 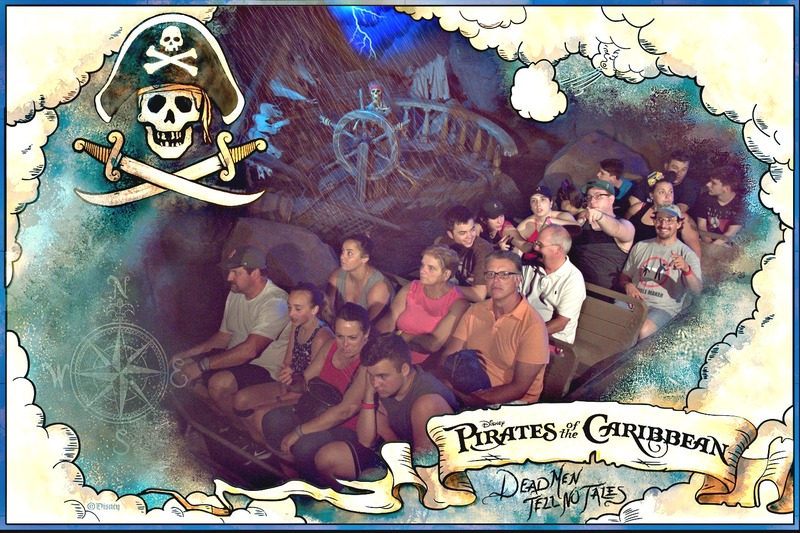 To get a great shot, let your mateys know the camera is located near the beginning of the ride. When you see the skeleton steering the ship’s wheel, look to the left. The camera is located on the left side of the boat inside the talking skull. Say argh! Unlike the other attractions, Enchanted Tales with Belle isn’t a ride. Instead, you step inside that tale as old as time – Beauty and the Beast – and if you’re lucky, you’ll be chosen to play an actual role in the story. It’s not just for little ones – one year my teenage son was chosen to be a knight in shining armor and I was Madame Wardrobe. Such fun – and a Disney PhotoPass photographer caught all the magic. At the end of the story, all the kids in the audience had an opportunity to pose with Belle. But to really make the most of your Memory Maker, raise your hand and volunteer to be part of the fairy tale. Then smile pretty as the PhotoPass photographer captures your moment as an enchanted object. This ride stirs a lot of emotions – even without the camera. 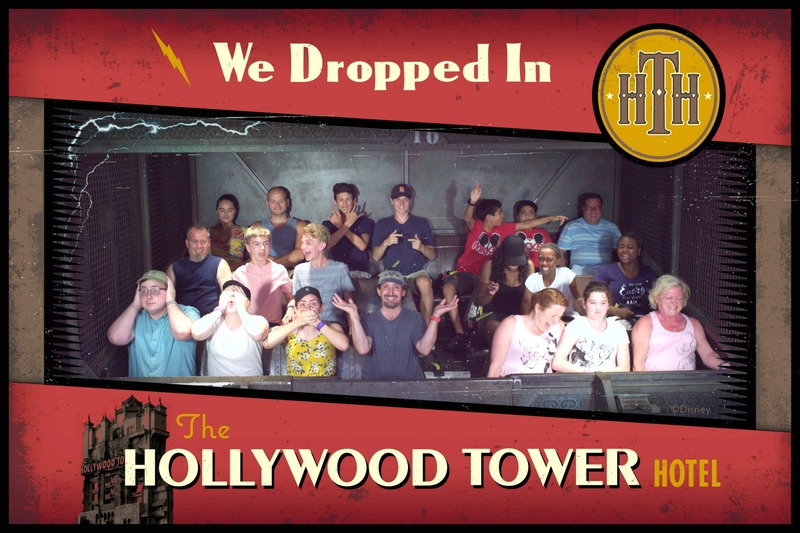 From peals of nervous laughter to shrieks of horror (usually from the first time rider), drops of this runaway elevator shaft always elicits a response. 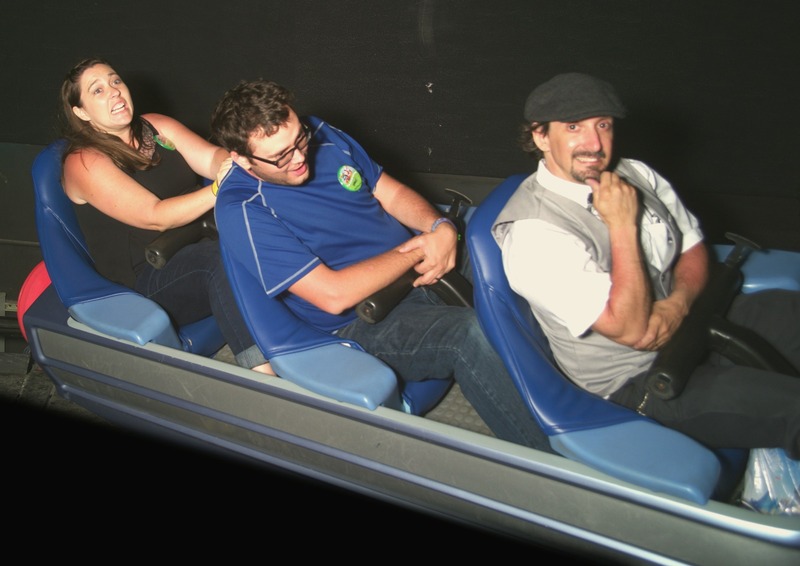 And with a little strategic planning, you can come home with a fun photo to remind you of being “in the zone.” The camera is located during the drop sequence. When the doors open to give you a view of the park, you will see the camera flash. It is located directly in front of you, slightly up and to the left a few degrees. You party like a rock star on the loops of this coaster. But be ready for your close up, superstar. The camera is located immediately after the limo’s launch. As you take off, look up and to the right. Can you match Steven Tyler’s megawatt grin – and make the most of your Memory Maker? Toy Story Land is the rootin’, tootin’ place to play big – and the Slinky Dog Dash is the hottest ride around. 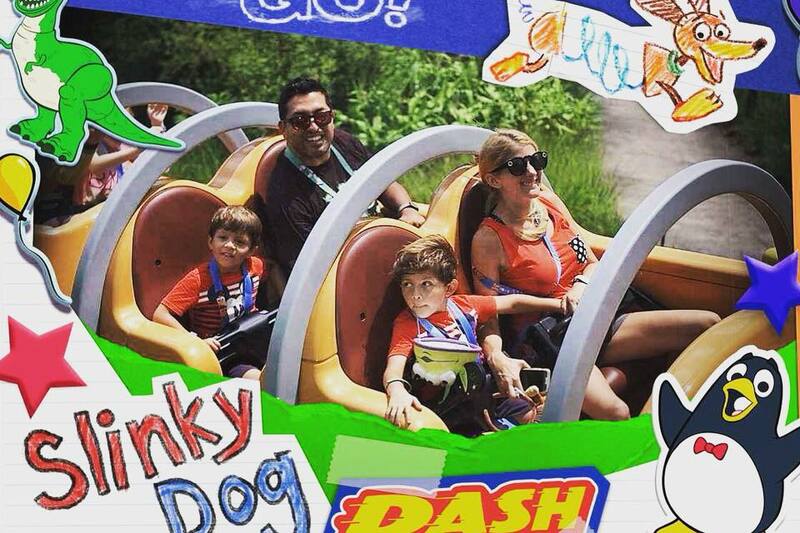 Climb aboard and dash through the wonders of Andy’s backyard – and get your picture taken while you do! One of the fun features of Slinky Dog Dash is the second launch – and that’s where to start getting ready for your photo. After you slink over the four mini hills (which make everybody smile), Slinky Dog will make a U-turn to the left, followed by a right turn. Right before Slinky Dog starts to turn back right, smile pretty, because the camera is located on the right side. Only two attractions at EPCOT offer in-ride PhotoPass opportunities – one in Future World, and one in the World Showcase in the Norway Pavilion. Design a car, test its speed and safety, and get your picture taken! Ready for the flash? As soon as your vehicle enters the outdoor portion of the ride, you will go down a hill. Right after the hill, look up and to the right for the camera. Vroom, vroom! The animals are usually the stars of any pictures in this park. Still, there are two rides that offer PhotoPass – and they’re both uniquely fun. Check out the following tips to make the most of your Memory Maker. 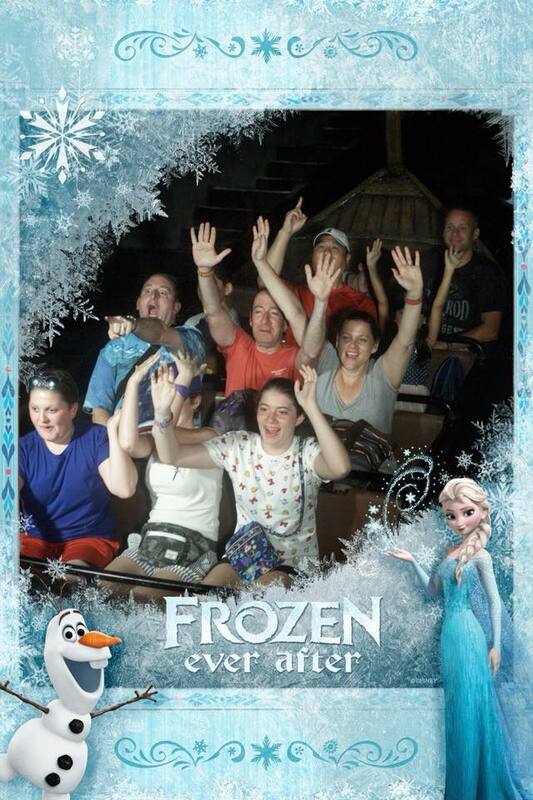 Even if you’re frightened by the yeti, you don’t have to take a scary picture. Keep this in mind: the camera is located on the big drop after you start going forward again (after the backwards ride). The camera is located up and to the right. Yes, you can get your picture taken, even when you’re traveling back in time. 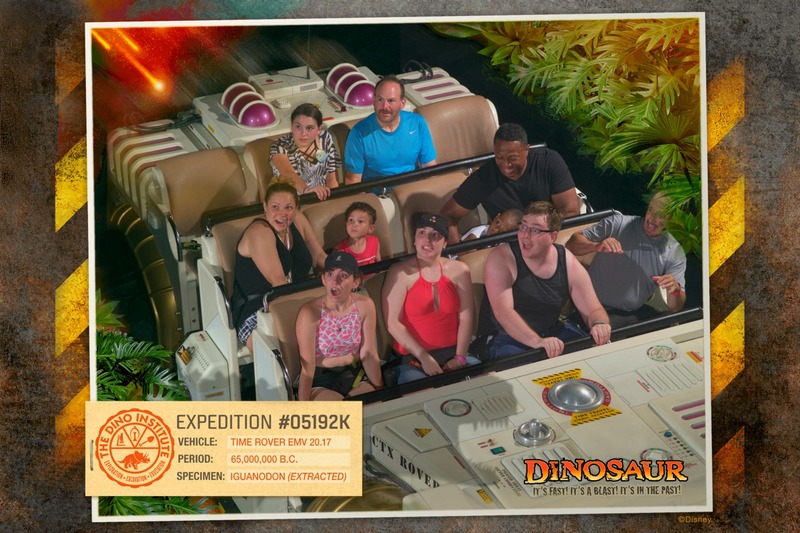 When the dinosaur charges out at you from the right, look toward the camera located up and to the right. It’s in front of you to capture your reaction to the dinosaur – so play it up! Final Memory Maker tip – only guests who purchase a Memory Maker photo package will be able to download a copy of the ride videos (Twilight Zone Tower of Terror and Seven Dwarfs Mine Train). To make the most of your Memory Maker, buy it online before you go to the parks to save money. How can you get early entry to a Disney Park? Where can you take great family pictures in Walt Disney World? How do you use Disney MagicBands? How can you save money at Disney? What is FastPass+ and how do you use it? Where can I eat in the Magic Kingdom?